Their high expectations for effectiveness were made possible by low expectations of what was to be. Delegation is the dynamics of management; it is the process a manager follows in dividing the work assigned to him so that he performs that part which only he, because of his unique organizational placement, can perform effectively, and so that he can get others to help him with what remains. How can he best share his burden? First, he must entrust to others the performance of part of the work he would otherwise have to do himself; secondly, he must provide a means of checking up on the work that is done for him to ensure that it is done as he wishes. When a specific desired end is attained we shall say that the action is "effective." When the unsought consequences of the action are more important than the attainment of the desired end and are dissatisfactory, effective action, we shall say, is "inefficient." When the unsought consequences are unimportant or trivial, the action is "efficient. Effectiveness relates to the accomplishment of the cooperative purpose which is social and non-personal in character. Efficiency relates to the satisfaction of individual motives and is personal in character. Extreme states of being, whether individual or collective, were once purposefully motivated. Some of those purposes no longer have meaning (expiation, salvation). The well-being of communities in so longer sought through means of doubtful effectiveness, but directly, through action. Under these conditions, extreme states of being fell into the domain of the arts, and not without a certain disadvantage. Literature (fiction) took the place of what had formerly been the spiritual life; poetry (the disorder of words) that of real states of trance. Art constituted a small free domain, outside action: to gain freedom it had to renounce the real world. This is a heavy price to pay, and most writers dream of recovering a lost reality. They must then pay in another sense, by renouncing freedom. It is highly desirable that we have trained persons look at these varied possibilities to compare their effectiveness, and to point the way to sound engineering decisions. 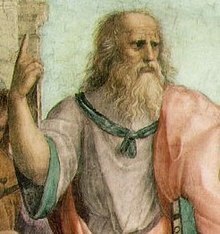 * Three principles — the conformability of nature to herself, the applicability of the criterion of simplicity, and the "unreasonable effectiveness" of certain parts of mathematics in describing physical reality — are thus consequences of the underlying law of the elementary particles and their interactions. Optimum realization aims at a harmonious synthesis of effectiveness and justice in the furthest possible surveyable part of future time. Ptahhotep (c. 2350 BC) The Maxims of Ptahhotep Maxim no. 5. Besides each one of us working individually, all of us have got to work together. We cannot possibly do our best work as a nation unless all of us know how to act in combination as well as how to act each individually for himself. The acting in combination can take many forms, but of course its most effective form must be when it comes in the shape of law — that is, of action by the community as a whole through the lawmaking body. Corporations are necessary to the effective use of the forces of production and commerce under modern conditions. We cannot effectively prohibit all combinations without doing far-reaching economic harm; and it is mere folly to do as we have done in the past—to try to combine incompatible systems—that is, to try both to prohibit and regulate combinations. Combinations in industry are the result of an imperative economic law which cannot be repealed by political legislation. The effort at prohibiting all combination has substantially failed. The only course left is active corporate regulation – that is, the control of corporations for the common good—the suppression of the evils that they work, and the retention, as far as maybe, of that business efficiency in their use which has placed us in the forefront of industrial peoples.